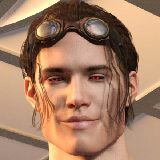 Most of DrMadDoc47's previous work in the gaming industry has been in writing for frantasy RPG and Adventure games for indie studios (none of which ever released a project commercially, such is life). A long time fan of Star Trek: The Next Generation and the successive series (particularly Deep Space Nine), DrMadDoc grew tired of working on so many fantasy stories which eventually lead to branching out as a solo-developer and Starship Inanna. 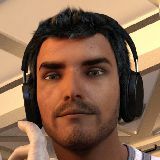 When not working on the game or 3d artwork, DrMadDoc47 is frequently playing Elder Scolls (Oblivion or Skyrim), running through Just Cause 3, or running tabletop games with more friends (SLA Industries right now). Starship Inanna is his first published game. With a degree and background in music composition Omar has written music for online and television advertisements as well as produced for various artists in the midwest. "Video Game music has always meant a lot to me and I hope my new musical ventures in the gaming world will convey my passion towards it." All of our supporters are awesome, below you can find the current backers who have pledged at the tiers to be on the website. We thank each and everyone one of them, from the people who pledge us $1/month all the way to those who pledge $50+/month, from the newest backers to the ones who have been here since the beginning, you are all awesome.